Going green and sustainable living is more than electric cars and fluorescent lights. Building and landscape designs are now being judge for their environmental impact too. Hardscapes like driveways, patios and parking lots are being given extra scrutiny. Water runoff and flooding concerns are making an impact on how hardscapes are designed and installed. One particular design, pervious concrete, also called pervious pavement, is recognized as the best way to reduce runoff pollution and allow for natural water drainage. Lets take a look at some of the environmental benefits of previous concrete. Pervious Concrete allows water to drain into the ground. Pervious concrete is a special form of concrete that that allows water from precipitation and other sources to pass directly through. Allowing the water to pass through the pervious pavement reduces runoff and sediment buildup and contributes to ground water recharge. Pervious concrete is often used in flat hardscape scenarios where water can pool and cause flooding, erosion and contribute to storm drain runoff. Before our modern roads, parking lots and driveways, rain water would almost always be absorbed into the ground where it fell. Most roads were made of dirt or gravel, so there was little need for storm water drains. As the use of cars increased, so did the number of paved roads. Unlike a gravel or dirt road, these hard surfaces caused water to pool and condense, which resulted in water runoff that was polluted, dirty and everywhere. Pervious concrete was first designed and used to reduce storm water runoff that accumulates in heavily paved areas. As the EPA has documented, storm water is detrimental to the environment in a number of ways. Sediments, chemicals, and other pollutants can accumulate in storm water runoff as it pools in parking lots and flows into the sewer systems. Additionally, since it is not absorbed into the ground, storm water contributes to erosion and cause lakes, rivers and streams to flood. Infrastructure is much more profitable for the developer. Eliminates costly storm water detention vaults and piping systems. Eliminates the cost of curb and gutter installations. Reclaims lots otherwise consumed by vaults and retention ponds. Eric’s Concrete Pavers provides the residents of Reno, Sparks, Tahoe and Northern Nevada with quality hardscape services. From concrete pavers to heated driveways, Eric’s Concrete Pavers does it right. 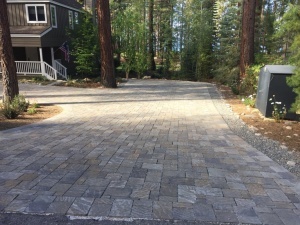 If you live within the Tahoe Regional Planning Agency, pervious concrete is a great option. With pervious concrete, the Tahoe Regional Planning Agency will allow you to concrete 20% more land than standard concrete installations. Come check out our services and contact us today! 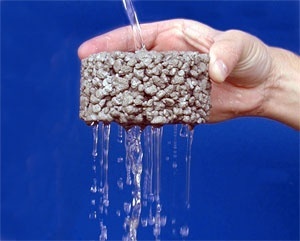 I was looking to know more about pervious concrete. I did not know that this concrete was designed and used to reduce storm water runoff. It would be best to have pervious concrete installed by professionals who can provide quality work.